Why Won’t They Go to School? 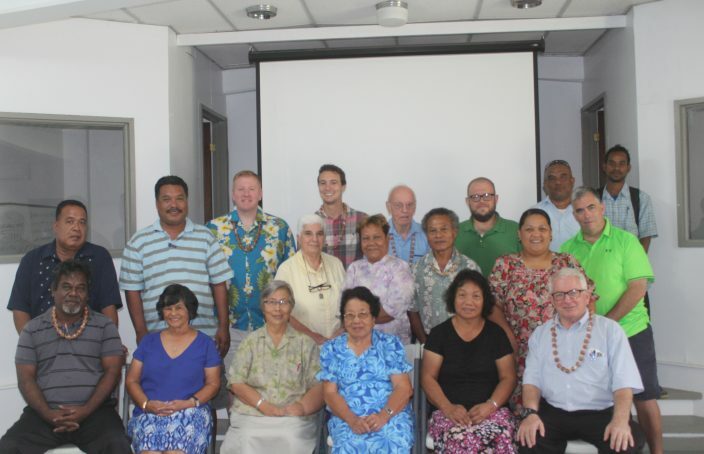 The meeting of Catholic educators on Pohnpei last week was like a postponed class reunion. The bonhomie and eagerness to share with one another was very much in the air. It had been three years since the last meeting of the Catholic school administrators, and the diocesan association that once linked them had been dissolved. 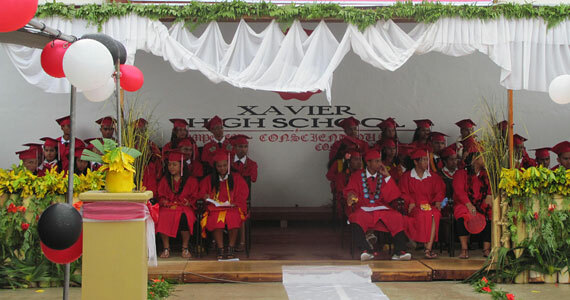 It was at their request that the Catholic Schools Administrators Conference was held, with the 19 participants representing not just Xavier High School, Mindszenty High School and the other schools in the Caroline Islands, but the schools in the Marshalls as well. 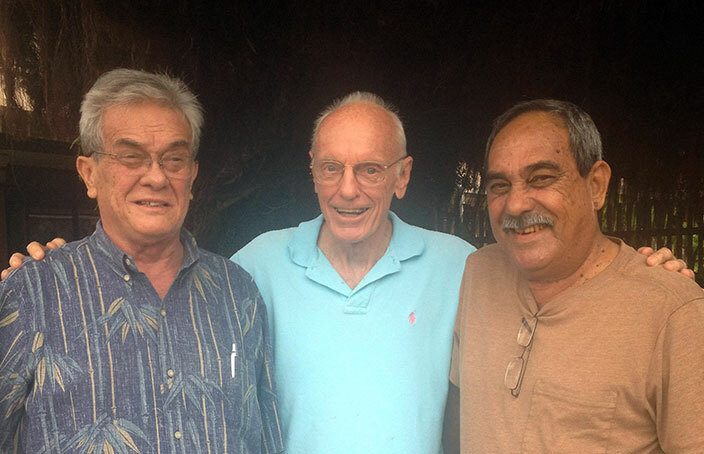 Visiting Pohnpei with (from left) Ambassador Tony deBrum, myself, and President Peter Christian. “Here are your favorite enemies,” someone said before the photo above was snapped. Right he was. The two are my favorite duelists: Tony DeBrum and Peter Christian. One of them is a candidate for the Nobel Peace Prize for the work he has done on calling attention to climate change in this part of the world. The other is a former student who is now President of FSM. 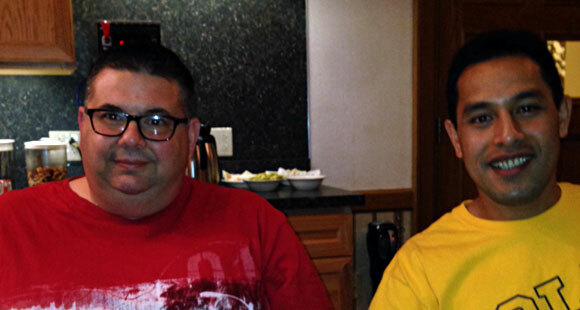 Both sharpened their debating skills at Xavier High School a few decades ago, and have practiced on me over the years. 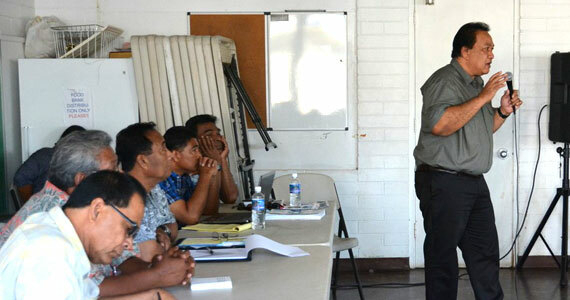 Members of the Chuuk Political Status Commission Conduct a Briefing in Honolulu. Excuse me for weighing in on a matter that concerns Chuukese, not foreigners like me. Although I lived in Chuuk happily for 25 years, I am under no illusion that my skin color has changed and my passport has been mysteriously transformed from US to FSM-issued. When I was in Milan, Minnesota, visiting the Chuukese community there a couple of months ago, I heard one single complaint repeated again and again by the Americans looking out for their guests. 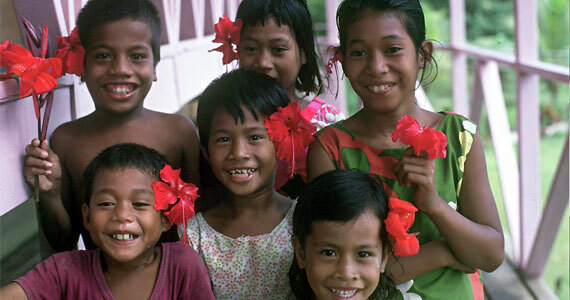 Many of the young Chuukese would often skip school. Not just the older ones who might have had more interesting things to do, but the small kids as well. 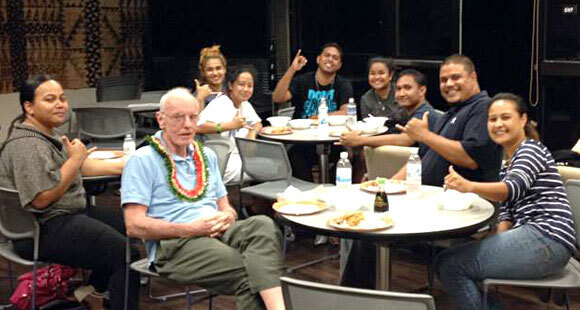 Visiting with recent Xavier alums on the Big Island.